The pope will travel to Lund, Sweden, Oct. 31, to participate in an ecumenical prayer service launching a year of anniversary activities. Lutherans mark Oct. 31 as Reformation Day, honoring Martin Luther, who was a Catholic priest in 1517 when he began the process that became the Protestant Reformation. His “95 Theses” were a list of topics on which, Luther believed, the Catholic Church needed to reform. Asserting that faith, not deeds, leads to salvation, many items on the list were triggered by the “selling” of indulgences, a practice the Council of Trent later banned. The Catholic Church believes that Christ and the saints have accumulated a treasure of merits, which other believers — who are prayerful and repentant — can draw upon to reduce or erase the punishment they are due because of sins they have committed. Colloquially, an indulgence is described as a promise of reduced time in purgatory. While making money from indulgences was a spark, the heart of the Reformation became different understandings of justification, or how people are made righteous in the eyes of God and saved. In 1999, after years of theological study, discussion and review, a joint declaration on justification was finalized and signed. It said Lutherans and Catholics agree that justification and salvation are totally free gifts of God and cannot be earned by performing good works, but rather must be reflected in good works. “Luther had no intention of establishing a new church but was part of a broad and many-faceted desire for reform,” the document said. The controversy over indulgences and over the degree to which a person must cooperate in his or her own salvation “very quickly raised the question of which authorities one can call upon at a time of struggle,” the document said. Luther emphasized the authority of Scripture while church leaders emphasized the role of church teaching and tradition in interpreting Scripture. “What happened in the past cannot be changed, but what is remembered of the past and how it is remembered can, with the passage of time, indeed change,” the document said. 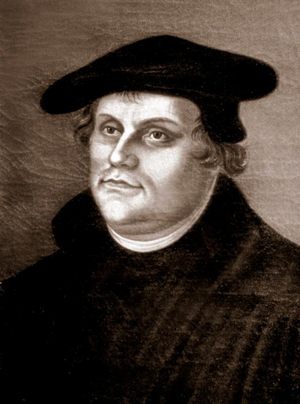 Especially since the Second Vatican Council and with 50 years of official theological dialogue, Catholics and Lutherans have come to a deeper understanding of Luther’s concerns, as well as to a recognition of the hostility and even political factors that pushed the two sides further apart. In a joint statement published in early October, Swiss Cardinal Kurt Koch, president of the Pontifical Council for Promoting Christian Unity, and the Rev. Martin Junge, general secretary of the Lutheran World Federation, said the joint commemorations will acknowledge how Martin Luther set out to reform the church, but — partly because of the “convoluted context of social, political and economic upheaval” — ended up splitting the church and unleashing centuries of tension and outright war. In addition to the ecumenical prayer service Oct. 31 in Lund — the city where the Lutheran World Federation was founded in 1947 — Pope Francis and leaders of the Lutheran World Federation will witness the signing of a cooperation agreement between the federation’s World Service and Caritas Internationalis, the Vatican-based umbrella organization of national Catholic charities.